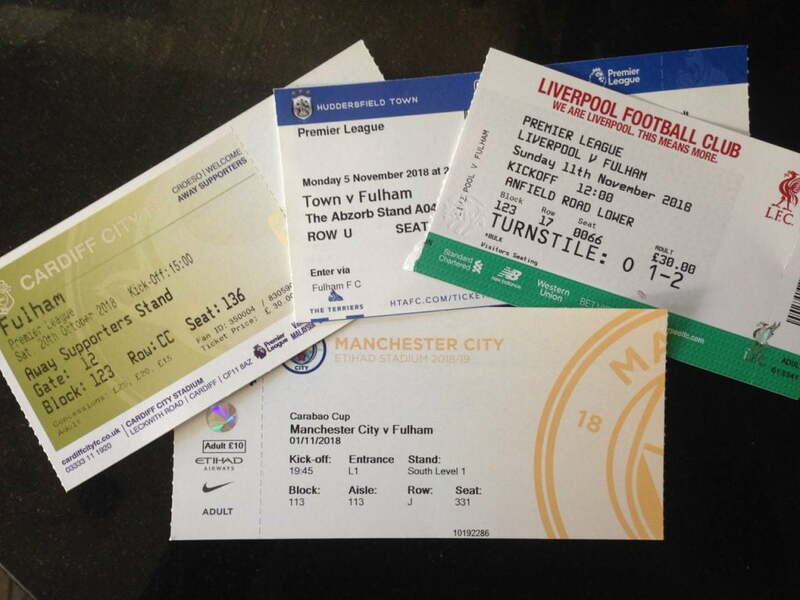 It might seem like a simple request, but the ability for Fulham supporters to select a particular seat for an away match is something that is still not possible. The Trust has raised this issue many times with the club in recent months and years. The problem, it seems, is with the technology provided by the outsourced ticketing partner Ticketmaster. We will continue to highlight this issue with the club as we can see from our correspondence with members that it has an adverse impact on the enjoyment of away games. For now, we have to accept the ‘best available’ seat offered by the ticketing system. However there are things that can be done to at least help supporters get an understanding of the away tickets being offered and one of these is to make much more ticketing information available. Following discussions at the structured dialogue meetings the club has agreed to provide details of the order of sale of blocks in an away allocation and help supporters understand which blocks are currently on sale. Additionally they will provide a regular update on the numbers of tickets sold so that it will be clear when games are close to selling out. 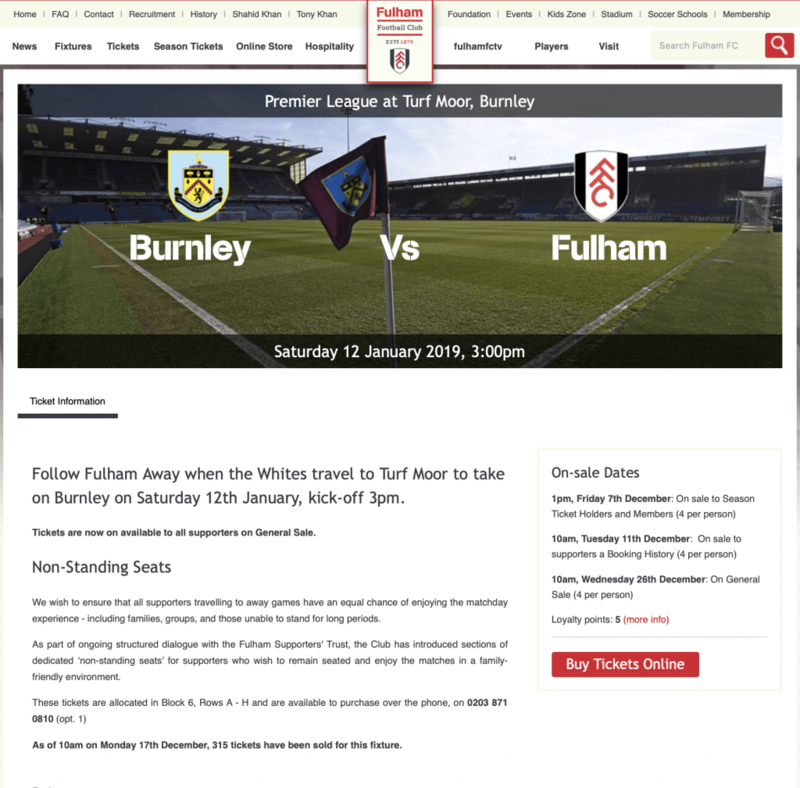 This information will be provided both on the Fulham web site and also its Twitter account. The FST is keen for the club to provide even more information such as the selling order of rows within a block and we are continuing to discuss this at our regular meetings. Additionally, when the contract for the provision of outsourced ticketing services comes up for renewal we will ask for away ticket selection to be one of the decision criteria.